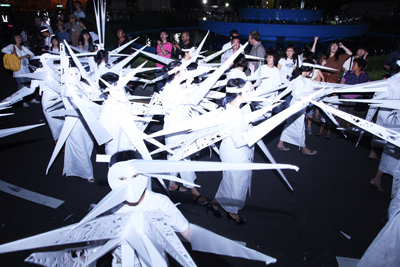 Claire Tancons’s exhibition-as-procession, “Spring,” Gwangju, 2008. (Work pictured: Marlon Griffith, Runaway/Reaction, 2008, mixed-media performance.) From the 2008 Gwangju Biennale.